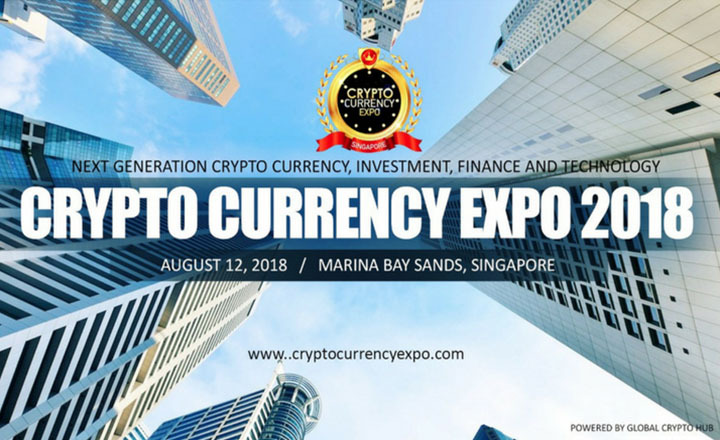 Following its success in Seoul, Crypto Currency Expo will hold another summit on August 12, 2018 at Marina Bay Sands Expo & Convention Centre in Singapore. Organized by Global Crypto Hub, the one-day summit expects around 2,000 participants composed of Fintech startups, business organizations, investors, bankers, and educators. In a dynamic and collaborative setting, these participants will share insights and first-hand information on the opportunities and innovations of blockchain technology and cryptocurrency. Crypto Currency Expo 2018 will follow a conference and expo format. Participants can attend panel discussions, case studies, and presentations led by trendsetters, industry leaders, and influencers in the blockchain industries. In between, attendees can roam around the expo floor to look for potential products they can use for their respective businesses. They also have a chance to meet like-minded peers as well as potential clients during the networking events such as coffee breaks and the closing gala night. Participants of Crypto Currency Expo 2018 can expect to learn and adopt new skills to stay on top in the blockchain and crypto spaces. VVIP Passes to this summit include benefits such as priority registration, VIP seating, entry to conference sessions, and exclusive access to the gala night. Sign up now via the registration button below. 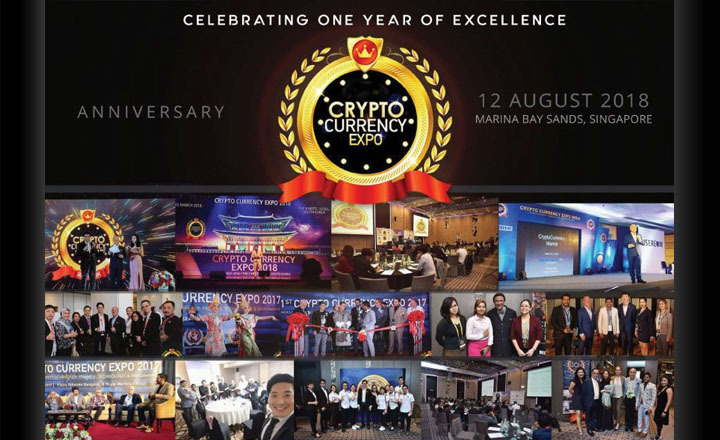 Cryptocurrency consulting firm hosted the successful Crypto Currency Expo 2018 held on August 12, 2018, at the Marina Bay Sands in Singapore. 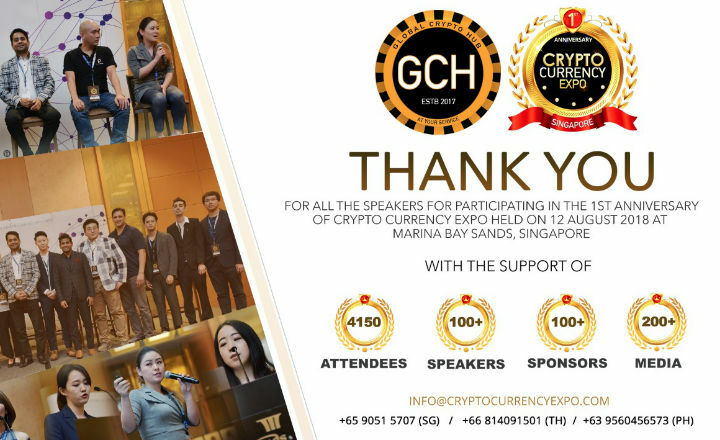 All are invited by Global Crypto Hub to celebrate its first year in Crypto Currency Expo, scheduled on August 12, 2018 at the Marina Bay Sands in Singapore.